Cpl. James W. Thrash, son of Mr. and Mrs. J. R. Thrash, attended school in Frederick; husband of the former Faye Dill. 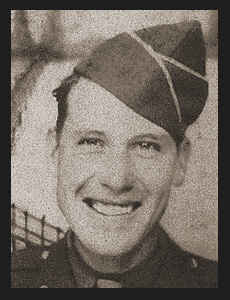 Entered service in April, 1944, trained in Ft. Sill, Okla., Camp Maxey, Texas; went overseas in Dec., 1944, served in Belgium, Luxembourg, Czechoslovakia, Germany, where he is now on duty. Awarded ETO Ribbon with three Battle Stars, Pres. Unit Citation, Cert. of Merit.